Sun exposure is very important for our bodies. After all, it is our body’s primary form of receiving the Vitamin D that we need to function at our best. There are numerous benefits to maintaining optimum Vitamin D levels, including a healthier immune system and improved mood. 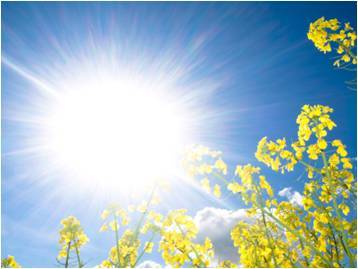 However, it doesn’t take much sun exposure for our body to soak up the Vitamin D that it needs. In fact, excessive, unprotected sun exposure can be very damaging for our bodies. This is true for people of all ages, but especially for children. “Most kids rack up between 50% and 80% of their lifetime sun exposure before age 18…” (www.kidshealth.org) So, how do we protect ourselves, and our children, from the damaging effects of the sun? The second thing you can do is to monitor sun exposure. Although summer days are best spent running around the neighborhood with friends and practicing canon balls at the local pool, too much sun exposure can be harmful for our bodies. Not only do you run the risk of getting sun burnt. But, there is also the risk of overheating and/or getting dehydrated. Be sure to drink plenty of water! As a general rule, consuming 8 oz. of water per hour (that you are exposed to the sun) will keep your body hydrated and help regulate your body temperature. Spending time playing and being active outside has so many health benefits. Therefore, we always encourage finding activities for you and your family to enjoy outdoors. This time of year, it is just extra important to pay close attention to our bodies and be sure we are taking care of them properly. Now, take these tips so you can get out there and enjoy your summer!